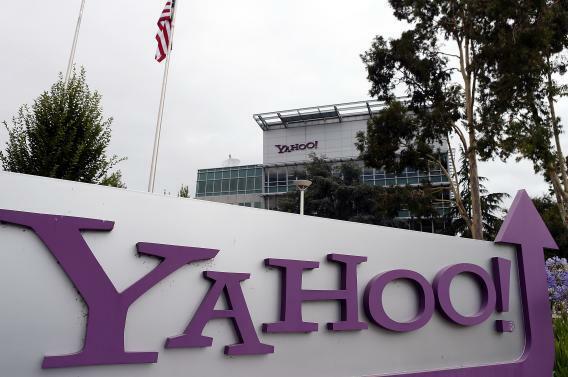 Yahoo wins crucial FISC battle in secret PRISM spying case. Yahoo headqarters in Sunnyvale, Calif.
Yahoo doesn’t have the best reputation when it comes to protecting users’ data from surveillance. But the company is bolstering its privacy credentials by taking on the government in a fight to reveal details about secret spying. On Monday, Yahoo won a partial but significant victory in an effort to force the release of a Foreign Intelligence Surveillance Act order demanding it that it turn over users’ data, which it first unsuccessfully challenged in 2008. The case was revived after the recent leaks about NSA surveillance programs, including an Internet spy initiative called PRISM, which the government uses to collect information under FISA from major companies including Yahoo, Google, and Apple. The company’s complicity in the PRISM program was a public relations disaster. But by challenging the surveillance, Yahoo has earned back some credibility, even receiving a “gold star” from the Electronic Frontier Foundation. Since the series of stories about the NSA’s surveillance programs broke last month, an unprecedented amount of pressure has been on the government to justify its spy efforts. The FISC has also been under heavy scrutiny, with critics blasting its excessive secrecy and branding it a “rubber stamp” court because it rarely rules against the government. Notably, the FISC’s Yahoo decision is the second it has issued against the government since the NSA revelations. Last month, the court rejected an ongoing attempt by the Justice Department to prevent the release of a classified 2011 opinion detailing unlawful surveillance. It may be the case that the NSA revelations have indirectly had an impact on the FISC judges, making them more inclined to favor less secrecy and increased transparency in a effort to prove that they aren’t just government lapdogs, after all.